one was harmless, and the other was poisonous. the serial killer took the other one. 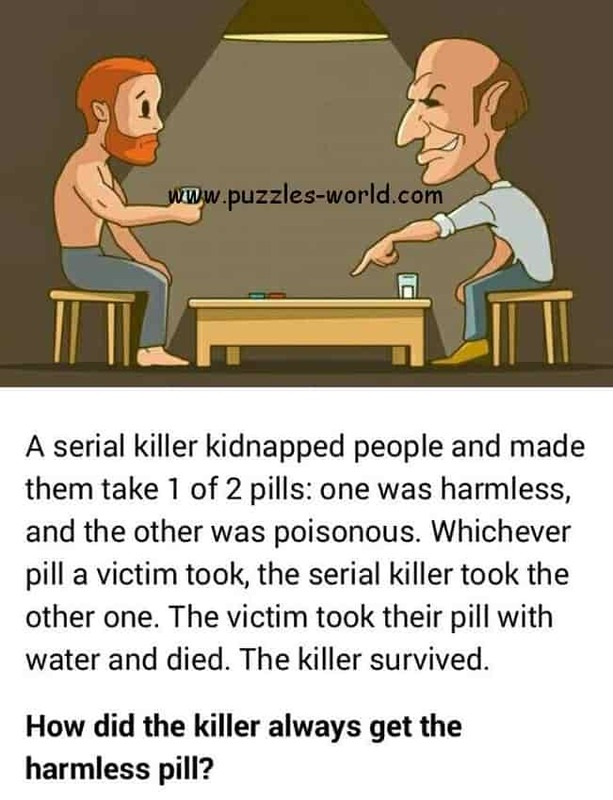 The victim took their pill with water and died. How did the killer always survive ? The poison is in the water.